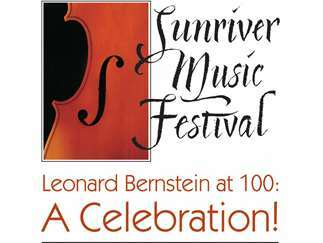 The Sunriver Music Festival’s Pops Concert is a Bernstein Celebration with Lenny’s beloved stage songs and symphonic dances! Featuring Courtney Huffman, soprano; Hannah Penn, mezzo-soprano; David Gustafson, tenor; Zachary Lenox, baritone. Cost: Cost: $10-$72. www.sunrivermusic.org for complete pricing options.